It's happy hour! 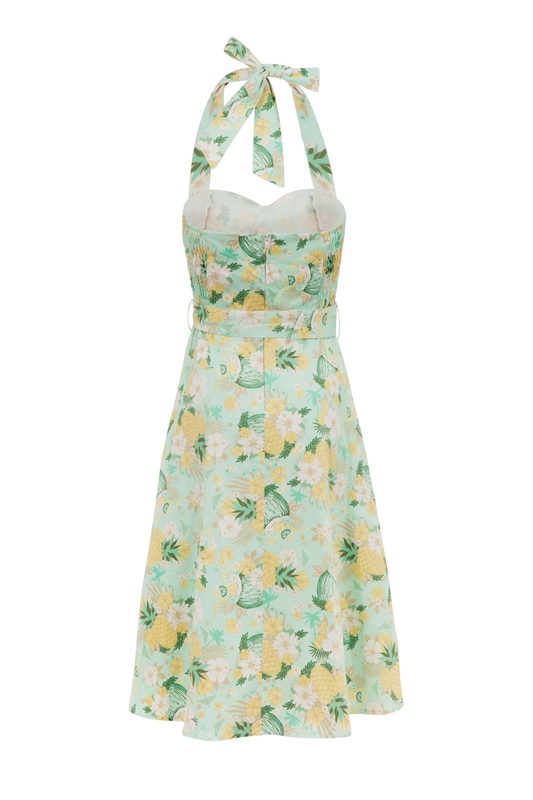 This festive little number will brighten any day. 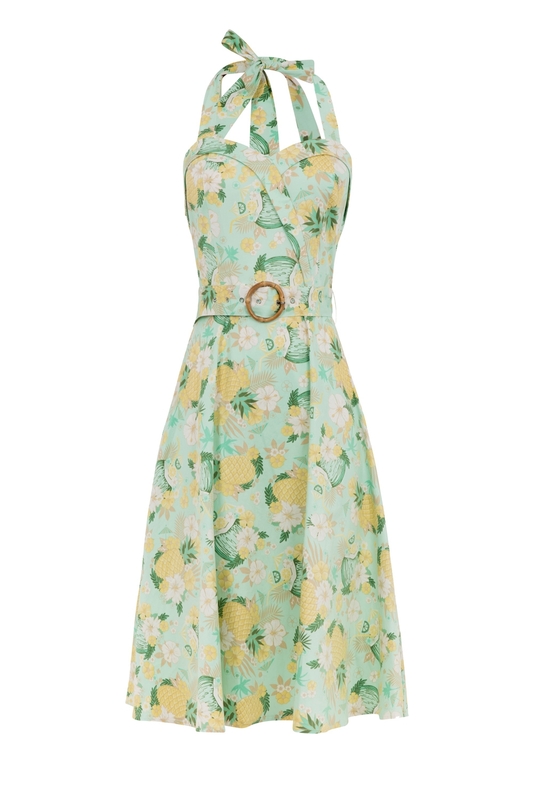 Featuring a tropical-inspired pineapple and floral print, bamboo-inspired buckle, and a super-flattering sweetheart neckline, we have you sorted for the season! Pass me that Mojito!